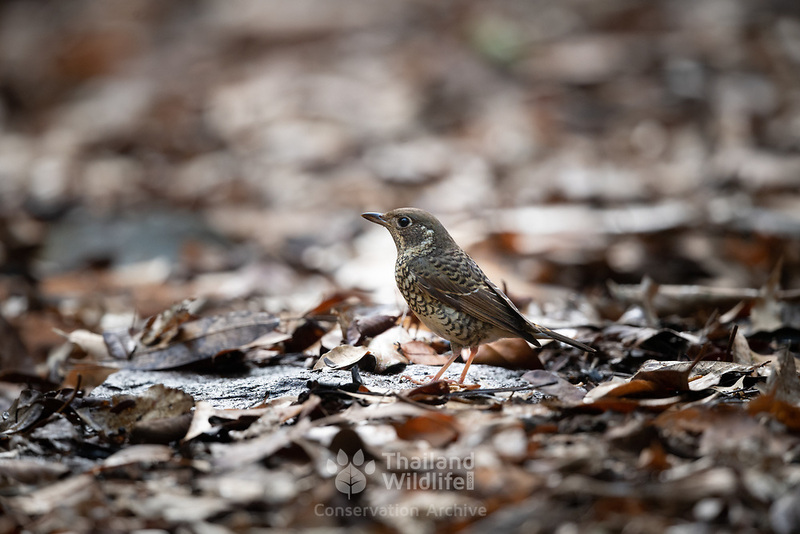 A female white-throated rock thrush (Monticola gularis). A species of bird in the family Muscicapidae of the order Passeriformes. Photographed in Pang Sida National Park, Thailand.